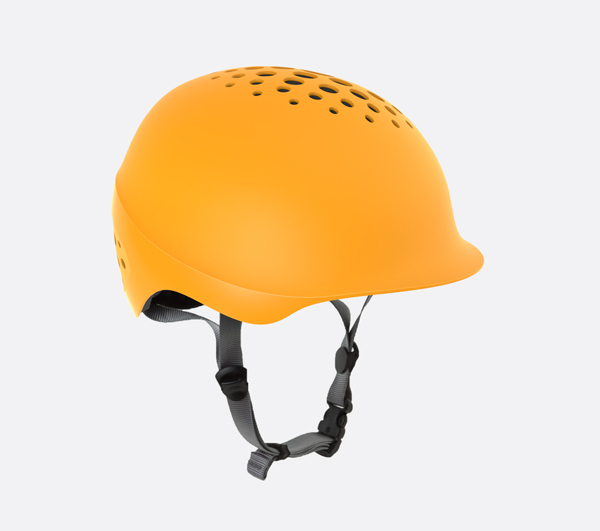 As a daily bicycle commuter I am always saddened to see others riding with ugly helmets or just forgoing head protection all together because of a lack of fashionable choices in the market. I chose the quintessential urban bicycle helmet, the Bern Watts as a basis for this design study. The integrated visor found on the Watts is one of its most important innovations, but I found that it could be better integrated by creating a continuous surface from the two elements. Airflow is an area in which the Bern Watts and many other urban helmets do not excel. 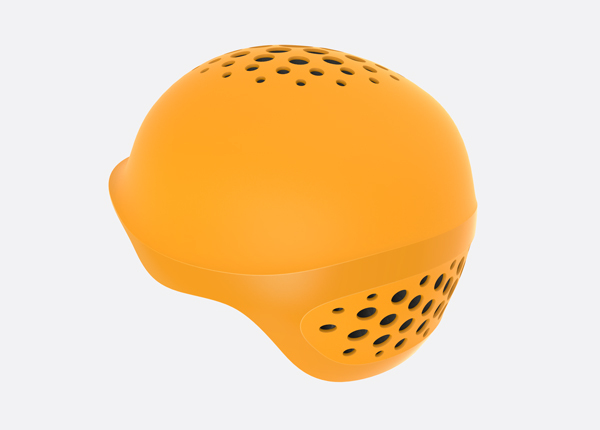 To remedy this problem more ventilation was added to the top and back of the helmet. The ventilation is made up of a collection of circular holes, larger in the center and smaller farther outwards, creating a visual blending effect with the surrounding surface.